labeling it “Student internship” (Chew, 2012). Low Social economic Status (SES) Class Consciences”. duced employment market; or 2) enter the community college. ally find their only collegiate option the community college. and the latter will earn a college degree. According to Burton R.
and middle class parents want their children to succeed in s chool. transmission of knowledge for Bernstein are based in language. which he labels “formal language”. Furthermore, Public vs.
educational failure fallacy has been created as a public placebo. high tech employment needs and not access to cheap labor). represented in jobs that require a high school diploma or less. 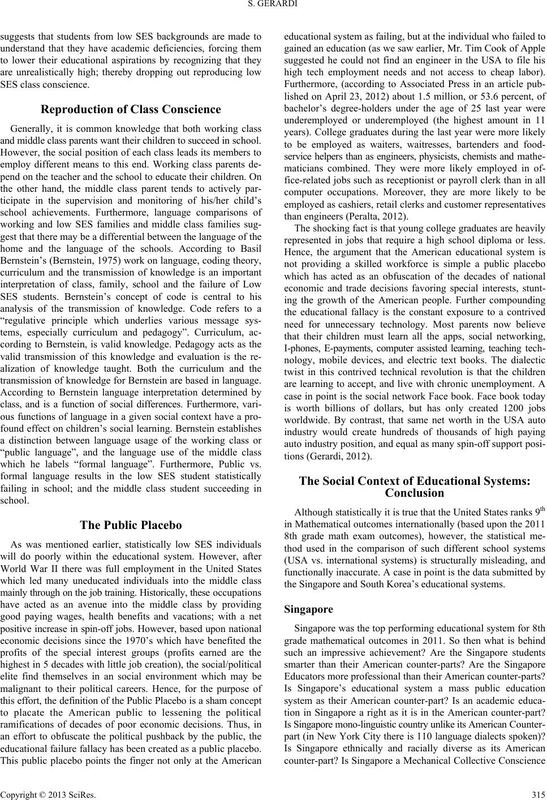 the Singapore and South Korea’s educational systems. Educators more professional than their American counter-parts? tion in Singapore a right as it is in the American counter-part? part (in New York City there is 110 language dialects spoken)? tive Consciences with different values, norms and attitude)? in which the education of its’ citizens’ is a right not a privilege. because they were up all night studying and doing homework. however the latter has no scientific data to support its’ claims. economic decisions which have destroyed the American Dream. nomic and trade policies which has failed the American people. ciety and culture. London: Sage P ub lications. 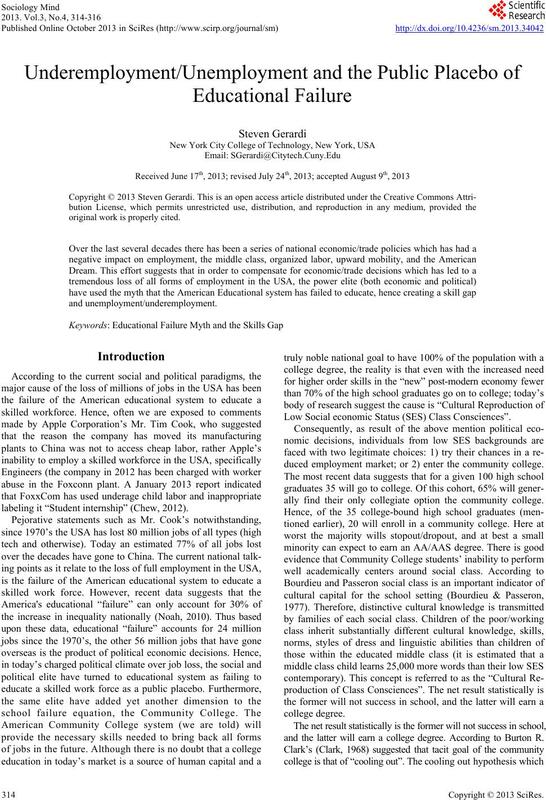 American Journal of Sociology, 2.
toward capital concentration. 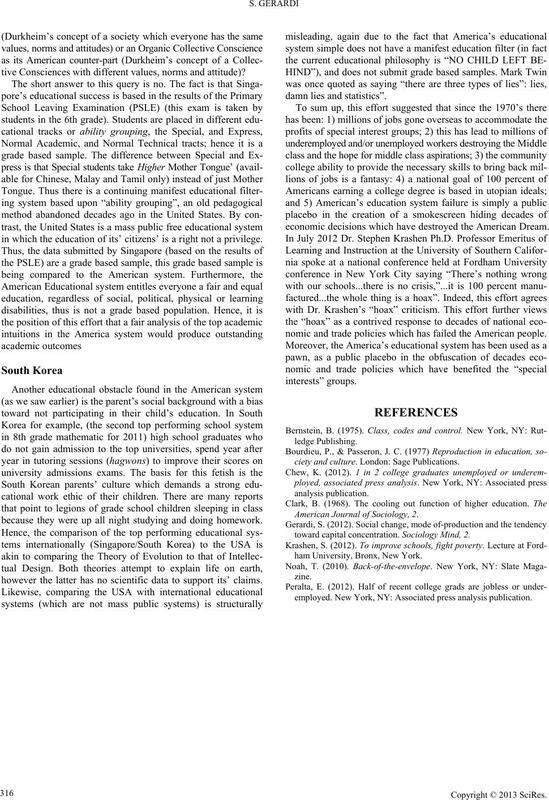 Sociology Mind, 2.
ham University , Bronx, New York. employed. New York, NY: Associated press analysis publication.